#4 brass handbag/purse zippers are lightweight and closed-end. 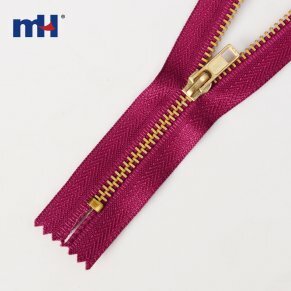 Each handbag/purse zipper features a non-lock slider, aslo known as a pull. Commonly used for purses, handbags.